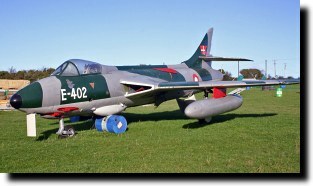 Until early 2000 this aircraft resided at Kemble but then moved to the Bournemouth Aviation Museum at Bournemouth Airport. While there her appearance improved greatly upon the state she was in while at Kemble with missing panels replaced and a full repaint undertaken. She then moved to Farnborough but along with several other airframes was sold to a new owner after some sort of disagreement. She has now resurfaced in Ireland!